How exactly did you get that OS onto the calculator? There is no public information about how to put a modified OS on it and fxremote doesn't work. You should share your tool with the community. Modified OSupdateDLL, but you could also use a debugger and replace raw firmware data in memory. Target and PC were 0. But as I said, it is kinda stupid to run the emulator OS on a real machine. Some hardware settings and mappings are different. E.g., low-level key access involves ports P/M/N on the emulator whereas on a real calculator it is ports Z/M/N. How do you modify the OSupdateDLL? I only know​ how to EXTRACT the OS but not recompress it. I tried to decompile the extract_cg20_....exe from ti planet but I don't know enough assembly to understand what's going on. It seems to be zlib with extra Casio stuff added? Why do you think the emulator is so different from real Hardware? Do you have a list of the differences? Is this documentEd anywhere online? Older DLLs have integrated SZDD header files (from compress.exe, included in the ClassPad SDK), newer DLLs use zlib compressed data chunks. Anyway, I don't want to open Pandora's box. So that is all I can tell. Do you know if anyone knows where the table of the names and icons of the built-in add ins is stored in the OS? You should ask Simon Lothar. 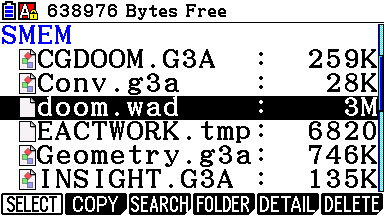 The emulator's *.dlm file contains some hardware info (includes pseudo settings/mappings). 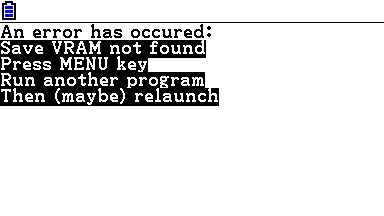 This emulator OS has many simplifications ("This feature is not available on this emulator") and hacks to make things detectable on the PC side (e.g., "F3:Import/Export" or key logging). As far as I know, there are no related docs (not even offline). Last edited by TeamFX on Mon Apr 03, 2017 2:44 pm, edited 1 time in total. it is possible to extend battery life. We have discussed this topic here. After a closer look, I found a way to get the pointer systematically (works for OS 3.00, too). // the language is similar to C.
Hi, I've now got a real Graph 90+E (let's say fx-CG50). It seems we have several add-in compatibility issues. Unless I've been extremely unlucky by just trying the most complex and only problematic add-ins, I think we should start some kind of an add-in compatibility list somewhere, and then contact the developers, or try to fix things if the original developers aren't with us anymore. Ok, most 3rd party fx-CG10/20 add-ins are broken. The fx-CG50 OS is very similar to the fx-CG20 OSes. I am a bit disappointed. Looks as if there are no secrets to unravel. Apart from the RAM-address there seem to be no grave differences. INSIGHT, NOTEVIEW, FARGOAL and even a relatively complicated UBC-tool work well (OK, I wrongly used 0x88000000 at one point in FARGOAL, but that could be mended fast). 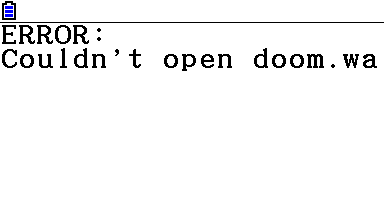 I opened a 4 MiB file with NOTEVIEW without a problem. The OS reports a FAT16 file system as with the predecessors. Fine thng is that the fx-CG50 is at least two times faster. USB mounts and unmounts very fast.